If your hardware misses a pulse it will be off by one unit. 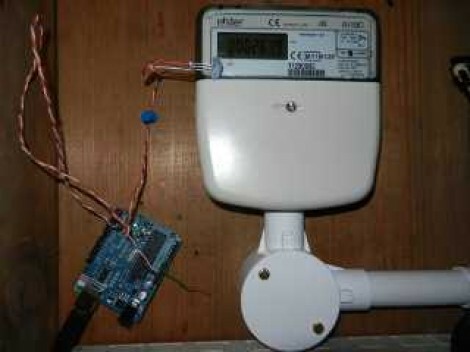 To get around this problem you should periodically read the meter and check it against your logged data. Correct as necessary. I’m planning an off-grid setup on vacant acreage. The one thing that has me stumped is the pure sine inverter compatibility with a modern 80+ pfc computer psu. Just cant find any info on an off gridder running a quad core. If you get a high quality computer power supply, it shouldn’t have any problems with a pure sine inverter (even cheaper ones shouldn’t have problems). Computer power supplies are generally very good and taking whatever crap (so long as it’s around 120v or 240v, and close to 50 or 60 Hz) it gets on the input and putting out solid voltages on the output. You could also measure voltages on the output of the psu before you hook up the mainboard and make sure they’re within spec, then use software once the computer is hooked up to make sure it’s still in spec under load. Check out mini-box – they have DC based power supplies for PCs. I run my entire server rack on them – including a dual opteron raid box and my quad core server boards. Everything is powered from an 8D RV battery – which is charged (at the moment) with an RV park converter – and I hope to take it all off grid. Pure sine wave shouldn’t be a problem. modified sine wave is not good for any switching PSU. because most PSU designs contain a rectifier directly after the AC input, you can feed them 325 VDC as well..
there are other versions with higher capacity. You should be able to feed them an appropriate amount of DC. So you could wire the solar panels in series to get an appropriate voltage. Obviously some form of regulation would be needed to prevent it from going too high or too low for the PSU. Although you might want to test it out on a cheap PSU, just incase I didn’t take something into account.